Powerplays. Eyeing up a pair of Abyss AB-1266? 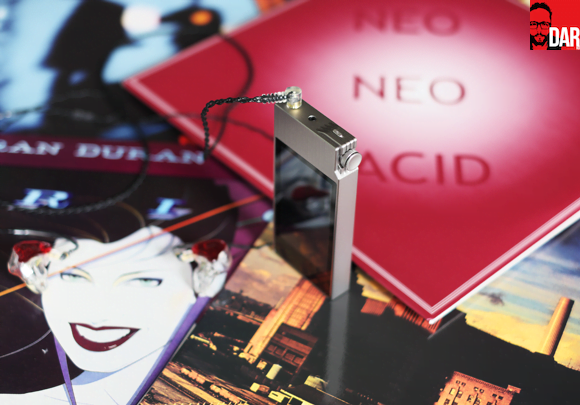 You’re going to need a dedicated headphone amplifier that can do them righteous justice. Invariably that means power and lots of it. It’s a similar story for Hifiman homeboys, Sennheiser HD800 seducers and Beyerdynamic T1 toyers. Satisfaction is unlikely to come from the headphone output thrown in to the complete the feature set of your average integrated amplifier; these headphones thirst for a proper juicing. Thanks to manufacturers like Schiit Audio and Resonessence Labs, decent headphone amplification no longer costs the earth. I regularly use the former’s US$129 Vali tube amplifier and the latter’s Concero HP (reviewed here) when walking MrSpeakers Alpha Dog (reviewed here) around the yard. Even though the Audeze LCD-X don’t slurp as much go juice as their modded-Fostex rivals, they still sound much more nourishing after a kick in the pants from the Schiit. When at local cafés with my laptop, I take to USB dongle DACs for headphone fuel provision. The AudioQuest Dragonfly v1.2 (reviewed here) isn’t the gruntiest fella around so I hook in the LH Labs Geek Out 1000 for deeper satisfaction with MrSpeakers Mad Dog. That these ‘phones aren’t completely closed or that they require a quarter inch adaptor nudges us towards the more specific demands of portable listening. When out and about we tend to prefer closed back headphones to keep the outside world out and the inside (music) world in. Disturb cubical colleagues or bus brethren at your peril. We also look for pocketability from our music sources. As its nomenclature might suggest, the AK120 II is a second-generation portable from iRiver sub-brand Astell&Kern – it’s quite the physical departure from the first take. Gone is the short and stout look of the original, which has been replaced by long, sleek lines. The volume rotary has been nudged to uppermost righthand corner, which makes it even easier to turn without removing the whole shebang from one’s pocket. The AK120 II’s feels sturdier in the hand than its predecessor and its vital statistics in all but depth and weight are similar to that of the Sony NWZ-ZX1 (covered here). The AK120 II is thicker and heavier but it’s also shorter on battery life than its Japanese rival – Astell&Kern claim up to 14 hours but in my hands running Redbook FLAC it seemed to top out at around 8 hours. Astell&Kern have switched DAC chip brands in this new iteration. Out goes Wolfson, in comes Cirrus Logic – a pair of CS4398 now runs the D/A conversion show. I’d say the AK120 II has lost some of the warm-and-fuzzies of its forerunner and gained a little more transient incision – both are improvements but it’s not enough of a leap for me to recommend that you immediately ditch your 2013 model in favour of this new one. Not least because you’ll also be sacrificing some expandable storage; the AK120 II offers only a single microSD card slot (128Gb max) over and above its internal 128Gb storage capacity. 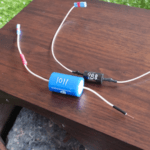 Dual DACs in the newbie feed a balanced circuit that terminates in either 3.5mm unbalanced or 2.5mm balanced TRSS sockets. The latter’s inclusion might be reason enough for fans of balanced-wired headphones to upgrade. In launching their own XLR-terminated balanced cable at this year’s RMAF, Astell&Kern clearly aren’t treating this as a nice-to-have extra. They’re evidently serious about their new models’ deployment as a high-quality source for two-channel operations. Pushing back on those upgrade urges will be the price jump. The original AK120 (still) sells for US$1299 but you’ll need US$1799 for the AK120 II. Anyway you skin it, that’s big money for a portable player. Not as hard hitting to the wallet as Astell&Kern’s US$2499 flagship player though. Seemingly the only major technical advantage of big daddy over junior is the AK240’s native DSD decoding. The AK120 II decimates DSD to PCM before conversion to analogue. Having heard strong rumour that the AK240 and AK120 II share identical circuit routing for PCM signals, I confirmed with Astell&Kern’s PR guy at RMAF 2014 that the AK120 II and AK240 (should) sound identical with PCM source material for which each model can decode up to 24bit/192kHz signals. With the AK120 II’s screen size seeing enlargement over the original model, the overall user experience is more agreeable and less fiddly. On the inside, Astell&Kern have moved the operating system from Linux to a modified version of Android. The intention behind this switcheroo is to allow for the easier addition of new features via over-the-air firmware updates. 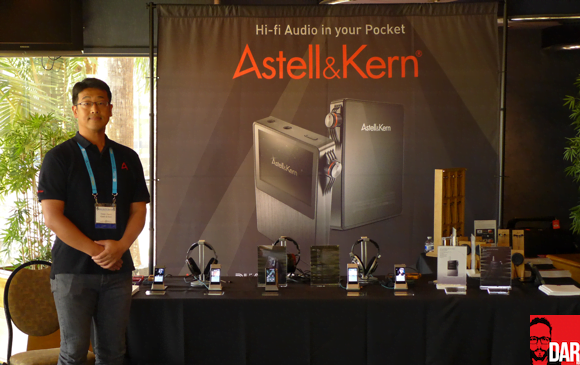 The AK120 II loads WiFi connectivity into its specification list and some readers will recall Qobuz integration was a big part of Astell&Kern’s push at the Munich High-End Show this year. On a Mac the original AK120 mounts its internal and expanded microSD cards as separate ‘USB Mass Storage’ devices inside Finder’s side bar. With the Media Transfer Protocol (MTP) being the mainstay of contemporary Android installs, OS X-ers are shoehorned into using the Android File Transfer app to get music to and from the AK120 II. It’s faster than the Finder drag-and-drop method of the AK120 but file management is fussier. Want to rename a file or folder on the newer model? You’ll first have to copy it back to the host computer, rename it and then return it to the player. Ditto if you wish to move a file or folder to an alternative location. The Sony NWZ-ZX1 portable also runs a modified version of Android but OS X’s ability to mount it as ‘USB Mass Storage’ stands firm; it shows up as ‘WALKMAN’ in Finder’s sidebar. Go figure. Whilst we’re talking Walkmen, the AK120 II earns its price premium over the NZW-ZX1 through superior sound quality even if it can’t match the Walkman on cloud connectivity. It sounds fuller, tonally richer and more refined than its Japanese rival. The Sony’s signature is akin to the penetrating-crunch of a knife cracking open an Iceberg lettuce whilst the Astell&Kern plays it more seductively up top. A fatter behind and punchier thrust on bass attack also separates the AK120 II from the NZW-ZX1. The sonic delta between AK120 II and Sony NWZ-ZX1 is also more palpable than between first- and second-gen Astell&Kerns. 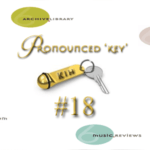 You can read my take on the original AK100 and AK120 here and here respectively. These differences were arrived at through several weeks of daily jams with Xiaomi Piston 2 IEMs, Ultimate Ears UE7 customs, Master&Dynamic MH40, KEF M500 (reviewed here) and Sennheiser Momentum. Notice anything about these ‘phones? They’re all designed with portable agreeability in mind. The Sony’s crisp-fried handling of player outlines means it’s a better match for the chunkier, weightier MH40 and the warmer Piston 2. The AK120 II plays better with the UE7 and the KEF M500. Both units find equal harmony with the over-ear Momentum. That brings us to one facet of the portable players that’s rarely discussed: their weakness in the face of more challenging headphone loads. In terms of pure teeth grit and grunt the AK120 II plays it closer to the AudioQuest Dragonfly v1.2 than it does either the LH Labs Geek Out 1000 or the Resonessence Labs Herus (reviewed here). Want to drive a pair of Sennheiser HD800 (300 Ohm / 102db) with the AK120 II? You might find the end result short on satisfaction. With ¼-1/8” adaptor interceding to make good the connection, the AK120 II / HD 800 combo makes a sound that’s pleasant enough but one that ultimately lacks the dynamics and transparency upon which these orthodynamics forged their formidable reputation. Similarly weak nourishment was had with MrSpeakers Alpha Dog (50 Ohm / 98 db). The Audeze LCD-X’s more agreeable (20 Ohm/ 95 db) specs placed them at the top of this high-end preference pile in terms of raw SPLs and reflexive dynamic charge. This weakness isn’t absolute; it’s relative to what can be achieved with even the most modest of wall-socket-powered headphone amplifiers. However, with all but MrSpeakers’ modded-Fostex being open backed, we’re back to discussing the limitations of this type of headphone for use in the office or on public transport. What to do? An external amplifier could be added to make good the power shortfall of the Astell&Kern DAP. US-based headphone enthusiast and journalist Michael Mercer can regularly be seen appending his portable players with third party amplifiers. Check out his Instagram feed here. Michael Goodman of CEntrance has succeeded in redressing the original AK100 and AK120’s relative amplification langour with his Glove A1 exoskeleton (reviewed here). With the wrap-around assistance of the A1 in place, an original AK120 can best the newer iteration A&K on dynamic bombast and layer separation; two clear indicators of more power on tap. Feeding the ALO Audio International+ (reviewed here) with the original AK120’s line-level output also nets audibly deeper bass and wider staging than the AK120 II going it alone. Keeping battery levels buoyant on two separate devices might be a pain for users who prefer the simplicity of a singular solution – and fair enough too. Whilst we’re talking strap-ons, the Chord Hugo’s (reviewed here) combination of D/A conversion and headphone amplification lends a more mellifluous air to musical delivery than the AK120 II standing alone. And you don’t need a multi-hundred dollar DAP to feed it; an iPod Touch or repurposed Android phone will do, each of which return streaming audio services like Tidal and Spotify to the picture. Sacrifice at the hands of the Hugo + A N Other is pocketability. If a) that ‘P’ word isn’t a top priority for you and b) the AK240 does indeed sound the same as the AK120 II with Redbook material, then owners of the first generation AK120 should take a long look at the Hugo as a possible upgrade path. 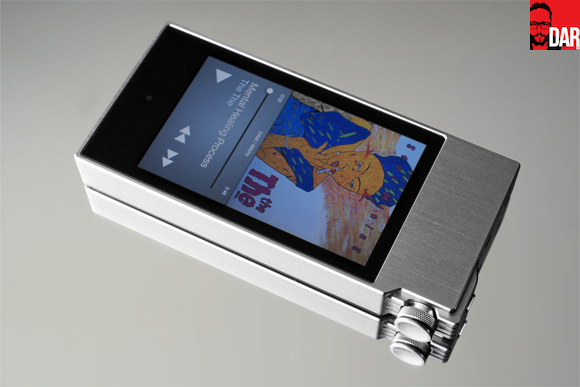 It sells for the same dollars at Astell&Kern’s top-flighter: US$2499. When I caught the Sony NWZ-ZX1 in Munich this year it was strapped to the Chord portable. A week earlier at the Fujiya-Avic Spring headphone festival it could be found riding the back of Sony’s PHA-2 and at the Australian Audio and AV Show in October it did the tango with Sony’s forthcoming PHA-3 DAC/amplifier. Strong words but he has a point. The A&Ks definitely spank iDevice audio sound quality but on raw power they’re limited by the overriding mandate of pocketable case sizing. Appending DAPs with tugboat amplifiers somehow spoils their all-in-one completeness. Even at AU$699 for the Sony Walkman, it’s a lot of moulah to drop on a player for it only to serve as transport or transport and DAC. Moving this analogy into the loudspeaker world, buying a Peachtree Nova 125SE (reviewed here) only to use it as a DAC/pre-amplifier runs counter to its proposition as single box solution. You don’t get a second dog because the first one doesn’t bark loud enough. You either get a big enough dog first time out or you stand closer to it. And so it goes with the AK120 II. Central to its attractiveness is its completeness as a portable player. As such, you’ll get best results by choosing headphones that suit the player (rather than a player than suits your headphones). In eliminating the possibility of an add-on amplifier you’ll not only retain the AK120 II’s original intent – high-end sound that fits in the pocket – but free up more cash for fancier ‘phones. Know that The AK120 II is vacuum-silent with the Ultimate Ear customs IEMs and this combination is my current daily drive. 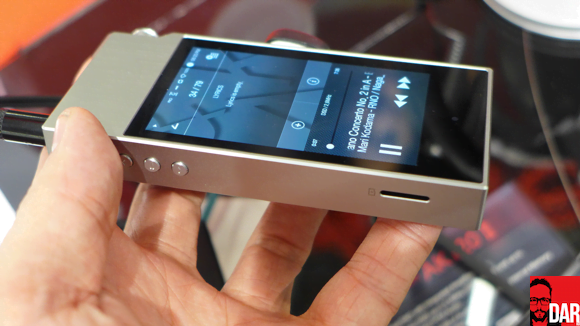 Proper audiophile-grade sound on the go was the Astell&Kern headline of 2013. Things have moved on since, largely driven by this manufacturer’s swift product development cycle. Now the AKxxx players must ride it out against fresh competition in the same sector as well as compete favourably with their own older models being spiced up by third party strap-ons. It’s in these latter scenarios (where pocketability is admittedly surrendered) that the AK120 II comes up against tougher foes. In the safety of standalone space, the AK120 II sounds superior in sound quality (by a small margin) to its predecessor and (by a larger margin) to the Sony competitor. For this reviewer, it’s the sweet spot in the Astell&Kern range for all but DSD die-hards. Astell&Kern’s biggest challenge lies not with aural satisfaction – they have that well sorted – but with the streaming service integration already nailed by the considerably less expensive Sony. A follow-up piece on the AK120’s MQS streaming feature is scheduled for the New Year. Before that, commentary on a pair of high-end headphones that tango very nicely with the AK120 II. Enjoy your articles John. Would be nice to see an updated comparison of the sonic benefits of the current crop of personal audio devices against the Ipod touch for those of us looking to make that leap. Also curious which Digital Audio Player you think would best suit the tastes of someone who is using NAIM, with Duntech speakers!, in their main system. Have been thinking of the Sony NWZ-A17 or Fiio 3 as a starting point for me and my Etty’s. I’m not sure whether I can recommend a DAP based on the Naim/Duntech combination. Headphones listening is such a different proposition. From what I recall with my time with a whole bunch of Naim amps, it sounded closer to the crunch of the Sony NWZ-ZX1 than the bolder, more refined A&K. The iPod Touch is no slouch as a player and I find it to sound superior to any of my Android phones (past or present). This week I’ve been experimenting with the a iPod Nano feeding the ALO Int+ an analogue signal and then having the ALO drive the Ultimate Ears UE7 CIEMs. Not a bad result – LOADS of juice in reserve. What a great read; thank you, Darko. And the more I read, the more I come round to the insane idea of one day buying a Hugo. I could mate that to an iPod or Phone and have the smooth and seamless functionality of iOS and the sonic rewards of the gorgeous thingy with the little lights and windows. Oh, and an amazing coincidence popped up yesterday in light of our recent exchange on the Sprouts. I was checking out a record on iTunes by my favourite jazz band, the Marcin Wasilewski Trio from Poland. They have just released a new album (hurrah!) featuring Swedish saxophonist, Joakim Milder…who happens to be a huge Sprouts fan and who made a wordless album their songs! You can even see a letter on the internet that Paddy M wrote to Mr Milder, expressing his pleasure at the project. The interconnectedness of all things, eh? 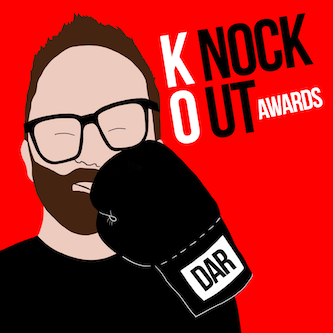 BTW – you should listen to this interview with McAloon. It’s fascinating. On the Hugo et al. Few (if any) DAP manufacturers can beat the iOS/Android interface for ease of use and as soon the tech of high-quality external DAC/amps gets smaller and more pocketable, we’ll probably see the likes of the A&K lose their edge in this space. The RL Herus gets us close but the cable connections that tie the two together are annoying. Then there’s the matter of volume control. A lower-power draw DAC with volume pot that somehow clips into the Lightning socket (or microUSB) would mean game over for DAPs at $300-500.